What are The Automated system need to be worth the programming of it? 1- The System will be 100% emotions free this what we can grantee. 2- Are the system will depend on certain time-frame or certain currency pair. 3- Are the system is 100% technically or what ? 4- Did the signals depend only on a one candle condition or more this will be the hardest part of creating the system which depend on how to read the market. 5- How many trades this signal will generate. 6- After that how much Profit & Risk to set, this will be the easy part. 7- Back-testing it enough and ensure how it work in live market with demo account. I Code a lot of stuff and I am not bad about coding what I want and translate strategy to chart language but all the time there is a weakness or a missing part of any trading system like we use the wrong tools or not enough tools to create an automated system, maybe the is another dimension we did not look from it to the market before. hope we can discus here the reality of automated systems the can be work well enough to worth coding it. TraDoxy: What are The Automated system need to be worth the programming of it? Until you code it, you can't backtest it. Until you backtest it, you don't know if the strategy is good long term. Same as in business. How do you know if a idea will be successful? The only way is to try it and find out. 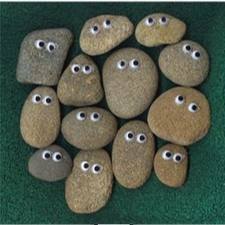 I would never have thought of gluing some cheap plastic eyes on a rock to make me a millionaire. You cannot know if a system would be worth coding it before you begin coding it. If you can find a system with a Mathematical_Edge then you would know before coding. Example: Negative Spreads || Interest Rates (high enough to cover cost of trading) || Broker Discount/Rewards Arbitrage || Signal .. IB or other Income (which covers spreads). If the system only have a Speculative or Historical Edge, then you'll have to assume a Risk that what you're coding or trading may-not be worth it at some point in the future. Until you code it, you can't backtest it. Yes you can . . . manually, it takes some time obviously, often it is quicker just to code the strategy and test in the Strategy Tester, but not always, if, for example, the coder in question is not very confident/practiced in mql4. In my opinion no, but I don't use them so what do I know about the subject, not much . . .
what you mean RaptorUK, are you only a Programmer ? I don't use Technical Indicators. or which timeframe to select or multitimeframe aspect ? when we discover the weakness in technically indicators we can use it better than before because we will be aware of what and how it will help and what it will never help with.